"have never queued for so long"
✅ Trip Verified | I had always been under the impression that the Swiss were efficient! Today at Geneva airport, they proved this was not the case at all. We have never queued for so long at any other airport anywhere in the world. 1 hour and 3 minutes in a queue to get through security is ridiculous. Then when the “go to gate” message appeared, you arrived at yet another queue for passport control - this time, not so orderly and lasting 47 minutes!! Despite our plane being loaded and doors closed well in time for our departure time, we were given a departure slot 35 minutes later. Where did the Swiss at Geneva Airport get it so badly wrong. Apparently this is very much the normal. If they cannot cope with the numbers efficiently, they should reduce the number of flights & make some attempt at salvaging their reputation! ✅ Trip Verified | How do the Swiss still have a reputation for efficiency? I can safely say that we have walked through most of the departures area; Unfortunately it was corralled like cattle in the most ridiculous queue for security, which coiled around the entire airport from one side of the terminal to the other and back again. 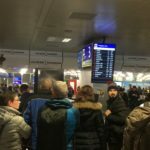 Having eventually emerged on the other side, we then had to head straight for our gate where once again, right at the very last hurdle, we had to join a snaking queue for passport control. By this time our flight was showing as Last Call, despite the fact that we had arrived 2 hours prior to our flight. It almost got ugly, with many people feeling anxious about missing their flights. It’s hard to imagine that anyone every has a chance to explore the Duty Free shops and restaurants at Geneva as you can fully expect to spend your entire time standing in line. Shame on them for making airline travel so stressful! 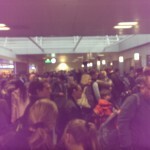 The horrendous queues completely outweighed the cleanliness and signage in the airport! 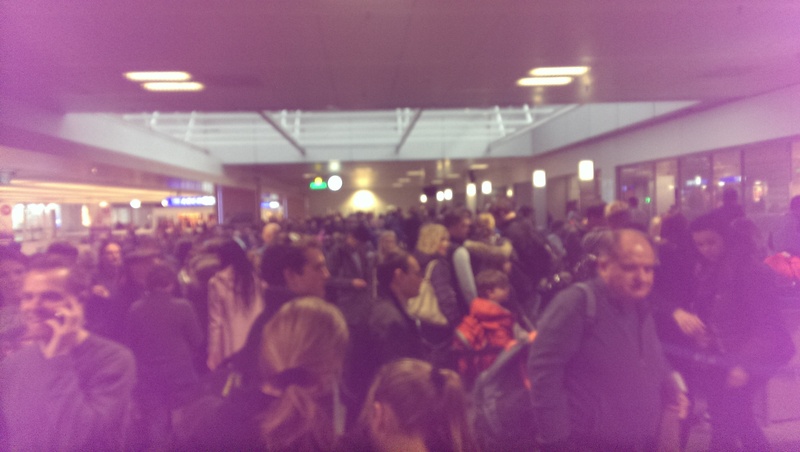 "disappointed with this bad service"
Not Verified | Horrible experience at the airport. The lady at the information desk was horrible and was annoyed about giving information to people, it's her job. Really disappointed with this bad service. Not Verified | Terrible arrival area. Waited arriving passenger for more than one hour after their flight was announced as landed. Took 90 min for luggages to arrive! Not Verified | We were flying to Bristol with EasyJet after a ski holiday with some friends. Sadly we had a friend who fell ill and needed a wheelchair. It took 45 minutes to get a wheelchair at special assistance. We got special assistance check in which was appreciated as the check in line was 300 yards long, we also arrived there the previous Sunday and the border line was horrific, one of the slowest. The security line was long and very disorganised, it took another 30 minutes. Only the person in the wheelchair and one other person could use the special security, which was completely empty queue wise. The food was overpriced and my friend was ripped off with a pile of melted Swiss chocolate. 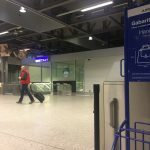 Geneva airport is a run down and old looking low cost airport, and I think this does not paint the right picture when you first go to Switzerland, we thought we would get a better airport. The airport is like a bad circus. ✅ Trip Verified | I am disabled and use an electric mobility scooter. Check in was fine, we flew with easyjet. The security stage where you scan your bags was very difficult. Despite passing over 5 members of staff no one directed me to the correct scanner where the scooter could pass through. I was shown to a normal scanner and after a wait which my husband timed as 4 minutes where the scanner operater decided to re-model her hair we were told the scooter has to go in the scanner. We explained that it would not fit through the scanner and was just told that we could not take it with us. My scooter is purpose fit for travelling and is lighter than most and folds up, however it is still 31 Kg. I explained that I can not walk and need it. 2 other operators then got involved and another came and said that they could let the scooter go through but I would have to walk. I explained that I am checked over normally in the scooter but they would not have it, I sat on the side as my scooter was taken from me. Eventually was told that if I could walk round the side I could sit on my scooter and drive through. It was very upsetting, then they pulled our bags for checking, nothing rogue in the bags as meticulously packed but it felt that they had just done it due to the scooter. There was no signage to the assistance to get on the plane, my husband walked round the airport trying to find it. 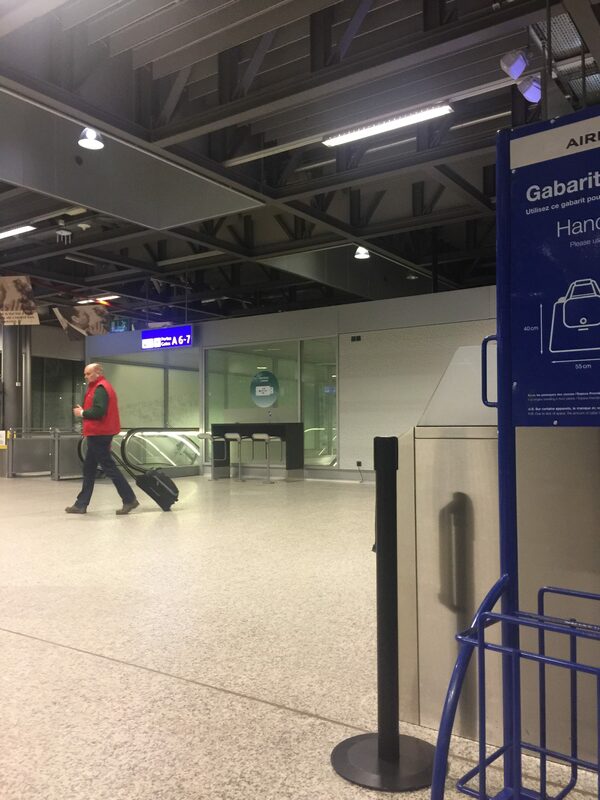 When we got there it was full of people so had to wait outside, we were worried we would miss our flight and tried to talk to someone and were told that no one would come for us unless we phoned them? Nobody had mentioned this, as we could not get inside the assistance centre we did not see the sign. Eventually we were loaded onto the plane via me driving my scooter on the tarmac just metres away from where a plane had landed. I travel a lot and this airport certainly ranks as one of the worst as regards to disabled travel. ❌ Not Verified | Very pleasant place. Everything was quite simple and easy: access by train cheap, frequent and fast from city center. Security check very simple and straightforward. Passport control with no queue at all, immigration officers kind and smiling. Will come back definitely. Recommended. ✅ Trip Verified | Geneva airport is fine but provides the most expensive food and beverages in the world. No budget food is offered. 4.90 swiss francs for a bottle of water is outrageous. They know you cannot bring food nor beverages so hold you at ransom. Very poor for the image of Switzerland. A complete rip-off. ❎ Not Verified | Arrival at the airport was fine no problems. Unfortunately leaving was the complete opposite. I have travelled around the world over the last 30 plus years and have never had such an unpleasant experience moving around a airport. Total chaos no one seeming to be in control of the situation. We spoke to a member of staff explained were we were going and he told us to join a queue which was at least 200 yards long. After 30 minutes and not much movement spoke to another staff member who told us we were in the wrong queue, moved to the right one which was only 30 yards long, unfortunately only one check in desk open. When we were finally at the desk a family in front had excess baggage and the female member of staff just seemed incapable of doing anything at anything above a snails pace kept them there instead of serving other customers. Finally after more than 1 hour we were checked in. Security was very quick the reason being most of the customers were downstairs. 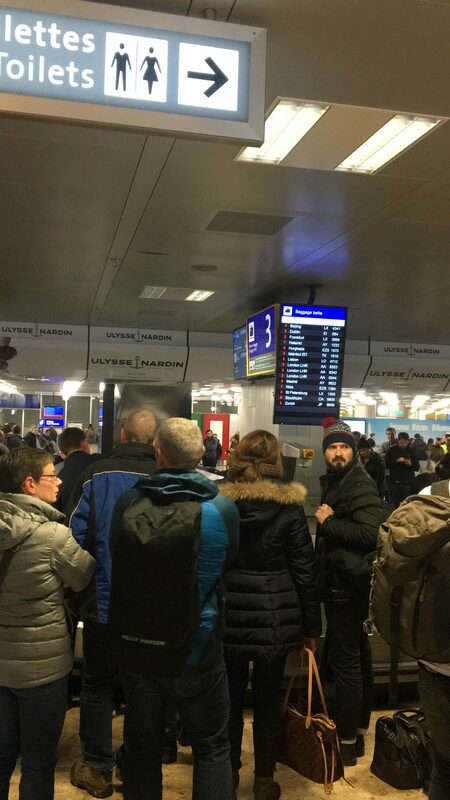 Finally the queues for easyJet were absolutely terrible so in summing up I will never be using this airport again, for the Swiss to be so allegedly efficient this is a farce.